The 12 Days of Indo Board – Day 12! 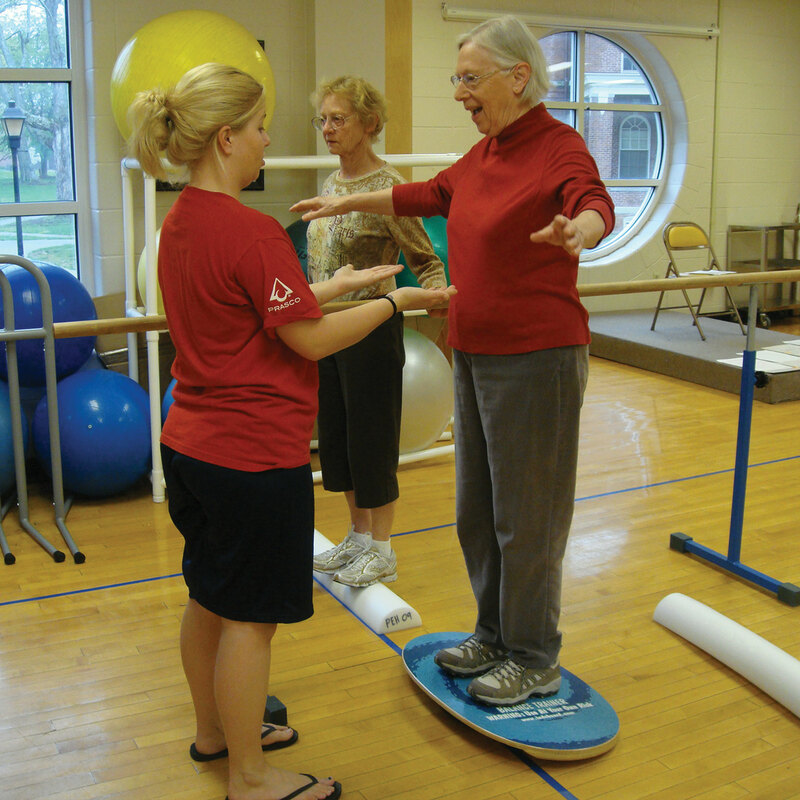 On the 12th Day of Christmas Indo Board Man showed me, exercises you can do with your Indo Board! Included with your Indo Board Training Pack or Indo FLO package is this handy poster detailing exercises you can do on your Indo Balance Board. This poster is double sided and includes exercises on both the roller and the Indo FLO. The poster is a great starting point in setting up a core strengthening and balance board work out routine. Another resource you can utilize, is our YouTube Channel. There is a multitude of videos with exercise routines and demos. In the video below, Indo Board Man demonstrates the Indo Balance Board. This is one of the first videos Indo Board Man created to show how to use the Indo Board as a surf trainer. 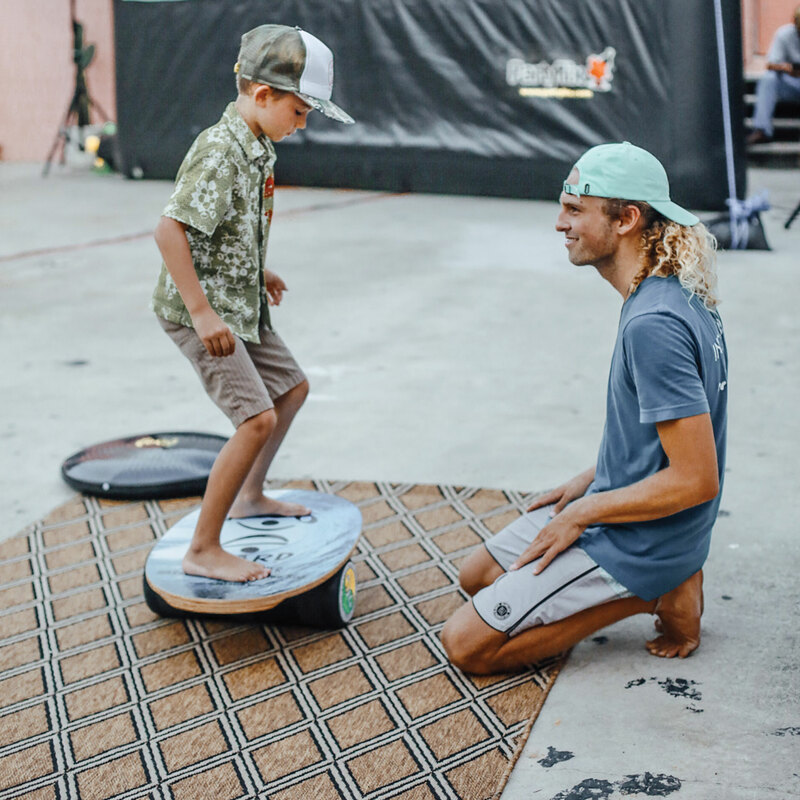 Over the years the Indo Board has grown, beyond a fun way to help you improve your surfing or board sports, to an all around fitness balance trainer. Ideal for anyone looking to improve their overall functional fitness level. 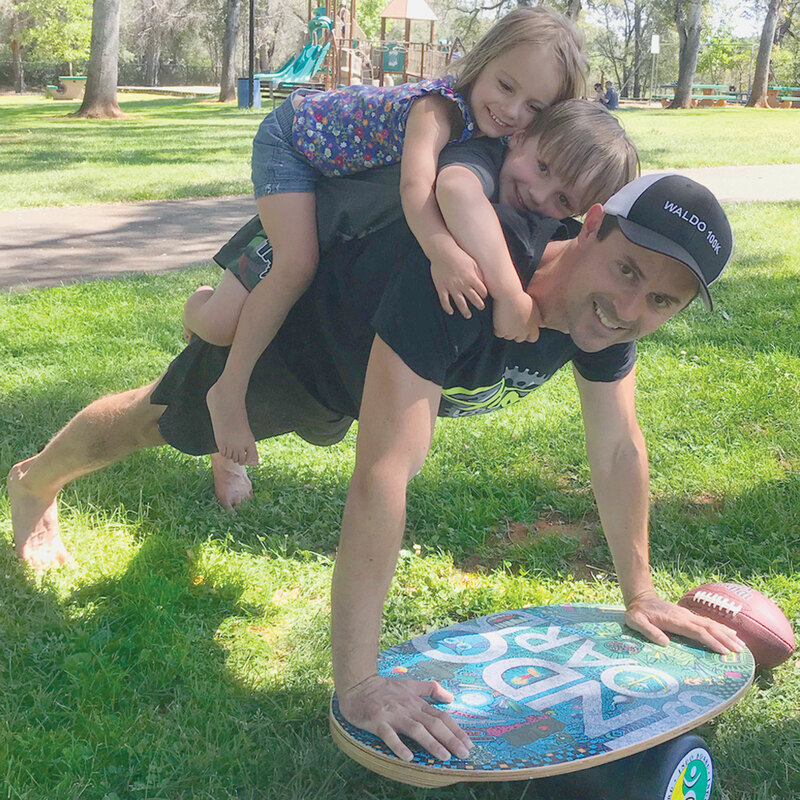 The Indo Board Balance Trainer is great for all levels of fitness while being used to increase strength in both the upper body and lower body along with the benefit of a stronger core. Arthur Hsu has a three part training series using the Indo Board. You can find all three on our channel! Lets take a look at the first video in the series. You can check out our playlist of Indo Board Fitness here. You can also take a look on our Instagram and Facebook for workout inspiration! Every day Indo Board Enthusiasts share their skills with us. If you have your own variations of an Indo Board Workout, we would love to see them! Tag us on Instagram using @indo_board. Congratulations to Indo Board Team Rider and Champion, Justin Quintal, for winning 1st PLACE at the VANS Joel Tudor Duct Tape Invitational, Presented by PACIFICO at the US OPEN OF SURFING 2013! On the left: a very stoked Hunter Joslin, founder of Indo Board.